As they every year at this time, the ASPCA is reminding folks that animals aren’t toys and therefore, shouldn’t be given as gifts to unsuspecting recipients. They may seem cute at first sight, but many gift animals end up abused and / or abandoned. Take the pledge and help stop the abuse. 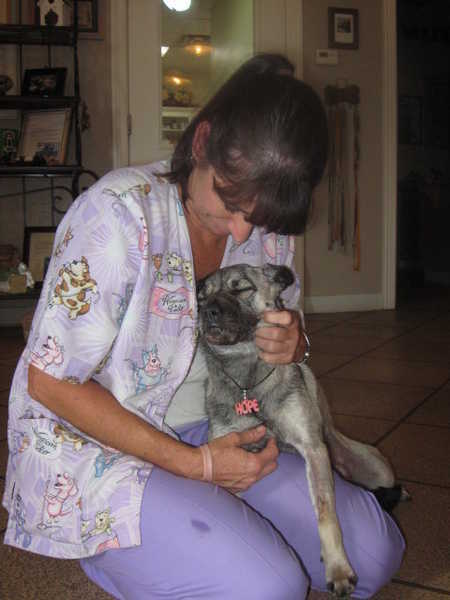 Bowie Drive Animal Hospital vet tech Rhonda Sears, shown with Hope in this photo, said that the pug-mix continues to improve. Her tongue, once swollen and protruding, is now 90 percent healed. A female pug mix who survived a horrific mutilation in Parker County, Texas, recently has just been adopted by the owners of the property where she was found. As I’d reported on July 11, Melanie Labrake spotted the dog along a rural road and thought initially that she had something in her mouth. But, upon closer examination, she was startled to realize the animal’s mouth was taped shut and her swollen tongue was protruding out. The dog escaped into a field, when Labrake tried to approach her. A concerted effort by the Parker County Sheriff’s office and local volunteers, however, led to the dog’s rescue and ultimate recovery at the Bowie Drive Animal Hospital. Once there, she was named Hope. Parker County Crimestoppers introduced a $10,000 reward to anyone who could provide information leading to Hope’s abusers, and an anonymous donor added $25,000. Calls about the dog came into the Bowie Drive Animal Hospital from across the nation and around the world. Now, Kit and Charlie Moncrief, owners of the ranch where Hope was corralled, have adopted her. 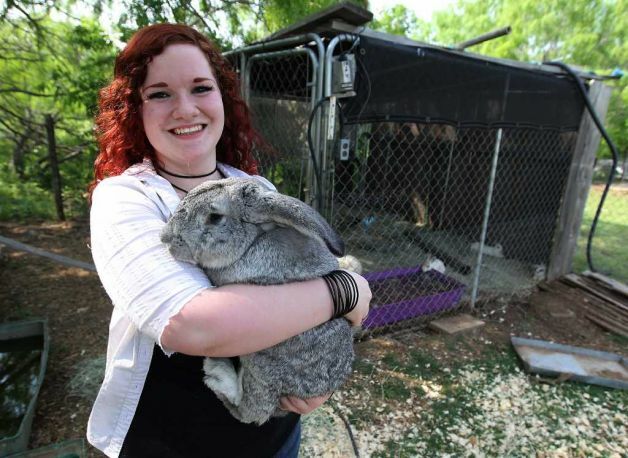 “We’re lucky to have her,” Kit Moncrief said. “It’s a natural fit. We’ve adopted quite a few dogs, and we were just horrified at the abuse this dog endured.” She added that she expects Hope to fit in well with the other animals on the ranch. Anyone with information about Hope is asked to call the Parker County Sheriff’s Department at (817) 596-8845 or the Parker County Crime Stoppers Hotline at (817) 599-5555.